Founded in 1858, Winona State University is the oldest member of the Minnesota State System of colleges and universities. 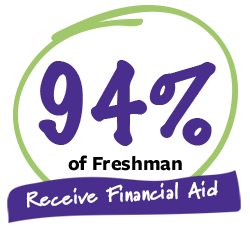 Today Winona State University serves students across two campuses in Winona and Rochester, Minnesota, as well as others throughout southeastern Minnesota and beyond. 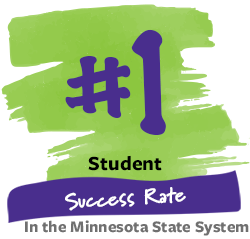 Winona State holds the #1 Student Success Rate in the Minnesota State system of colleges and universities. WSU offers over 80 majors and programs, and our classes are small in size and taught by expert faculty. We're also the oldest member of the Minnesota State system, established in 1858 as the first teacher training school west of the Mississippi. Named the 2nd best public institution in Minnesota by U.S. News & World Report’s “Best Colleges,” and listed among the “Best in the Midwest” by The Princeton Review for 15 years in a row. One of America’s 100 Best College Buys for 23 consecutive years, 94% of freshman also benefit from some form of financial aid**. Widely known for our stunning natural setting, the WSU Winona campus is nestled between picturesque bluffs and the Mississippi River – meaning that rock climbing, paddle boarding, hiking, kayaking (and more) are within a mile of campus. Additionally, the city of Winona is home to a wide range of art, music and theater opportunities, as well as museums, local boutiques, and festivals galore. WSU’s second campus is located in Minnesota’s third largest city – Rochester. The city is a dynamic, urban hotbed for industry, arts and culture and was ranked the #1 city of Top 100 Best Places to Live by Livability.com in 2016. 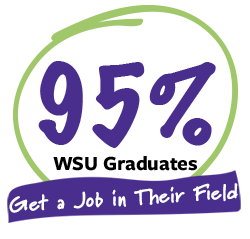 All our degree programs offer opportunities for internships with some of the Midwest’s most prestigious companies and organizations. Community engagement is important at Winona State, with most of our programs providing students a chance to use what they’ve learned to help others. Home to 14 NCAA Division II and one NCAA III varsity sports teams, the university also has 20+ intramural teams and 30+ club teams to choose from. Our Integrated Wellness Complex aligns health, wellness, academic, and recreational programs and services into a single facility. Winona State University has a significant impact on local, regional and state economies. A 2018 study revealed WSU generates $447.9 million in economic impact each year, accounting for operational and capital spending, student and visitor spending, supporting and sustaining jobs, community contributions, state and local revenue, and almost 2,000 graduates per year. *Of those employed, for the undergraduate class of 2016-17. **Of those enrolled for the 2017-18 year.